FxPro SuperTrader service is not available anymore.Summer 2017. More about fresh news read at Fxpro Review page. It was in 2006 when the FxPro was launched. Since then, it has become the leader in FX broker across the globe with more than a hundred and fifty nations on board. But, this platform has just been released at the latter part of 2013. FxPro is a social investment platform with the goal to provide the client and the investors a one of a kind experience that they cannot find with the other platforms available nowadays. 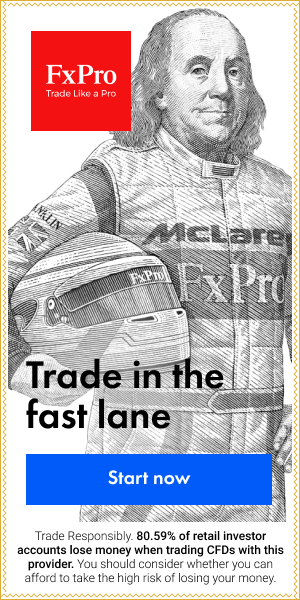 They enable the investors to go over and copy the traders of the experienced traders thru their very own account with FxPRo. Since SuperTrader is just available for FxPro users, You need a typical FxPro account to be able to come up with a SuperTrader account. It may sound good enough and very easy for a not so experienced trader. But, it is truly essential to keep in mind that SuperTrader accounts may only be used in US dollars. However, if you want to pick another form of currency for the primary FxPro account as well as vault. In the case of Great Britain Pounds, you must go through two different currency conversions if you will use US dollars. But if you would like to use the SuperTrader, you have to be sure that you pick the US dollar option at the base of the currency. The truth is that the PF is now made available in US dollars only being its only limitation and for investors In the USA only who will be using US dollars as their primary currency. Because it is way too plainly that the investments they will have will be made available in US dollars to get started. As discussed earlier in terms with the goal of the SuperTrader, they are into providing their investors with enough access to be able to enjoy their Fx trader experience. The leaders may be companies or a person with the technique that provides and sends in the signals in a real time manner using the SuperTrader. It is so essential to keep in mind that all of the leaders are sending their signals from their live trading accounts. That simply means that they are actually putting their money at risk too. The leaders on the other hand, went through a strict approval procedure method wherein the action of the trading method is being monitored accordingly to make sure that it is consistent and will adhere to the FxPro risk management direction. The leaders are normally paid around 5% based on their performance and for winning the traders they normally make in the accounts of the investors who copies their traders. This payment is typically done monthly. Since the service being offered was fresh from the time of their primary review and most of the leaders only had a few history on FxPro it wasn’t really probably to give a comment regarding the conscientiousness of the platform during the selection process then. It has been said that this is just due to the fact that social trading service that has been reviewed and those who claimed to vet the trade leaders have turned out to be quite poor. It was just too obvious that it must be kept monitored all the time and a proper upgrading must be handled. In the preliminary update held in October of 2014 just after the very first interview, it was noted that some of the methods just came and went by. There are certain no. Of techniques to consider and to lessen as well, by then it may be less than ten even if FxPro may be pro-active and may be vastly be eliminated among some other methods which may not be able to meet the criteria and the performance may deteriorate too before the damage has been done. One of the in favored element about the body in FxPro Super Trader is that it is not just for them to trade using their money, but also for them to be able to work out about the cost that it will take you. Most of the leaders have balances in their account that contains more than 10,000 USD. That is quite untypical since some other social trading as well as trade copying networks usually do not share or divulge such kind of information. At the moment, there are more than thirty methods that you may be able to copy and check. There are 2 kinds of FxPro or 3rd party techniques available nowadays. It is just that it is quite obvious that the SuperTrader methods listed as the FxPro were developed in an in house manner thru the FxPro whereas the 3rd party methods were made by the veterans outisde of the FxPro. At the moment, the best results came in from the 3rd party providers. As soon as you have decided to copy, you can just put the parameters on so you can keep track of the risks you will take. 1. The amount allocation must be in US dollar. That is the amount that must be in your account and the minimum amount should be not less than 500 USD, though there are some techniques that may require you to have a higher amount. 2. The ration multiplier should be on top of your list. You have to decide to be able to increase your risk. 3. The strategy max. Loss percentage is something that you also need to keep in mind. You will allow the trades to be closed and stop the technique from 5-30%. 4. TralingStop or equity percentage. This is somehow close to the past stop, however it will take into account the gains, so that the profits may be looked upon. The FxPro’s SuperTrader guide can help you with the explanation it contains about the details along with the money as well as the dangers you will come across with when it comes to management parameters. You will be able to come across the scope of your account depending on the profile risk that you have to go through. As soon as you are into the techniques you can easily follow the performance of the account in a real time basis and you can also close the trades in a manual manner and so do open them the same way using the technique. When it comes to registering for the FxPro Super Trader, that is absolutely free and the spreads will be similar when you get to see the typical account. But that is if you will copy a technique coming from a third party and then you may be asked to pay for around 5% execution fee concering the trades that are truly lucrative. They will not mind paying for a certain amount for the profits that were made and think that the method used is just fair enough. Just as mentioned, there were issues in terms of the setting up of the SuperTrader account. They have found out that the support taken from the email and from the manager handling the account turned out good. Unluckily, the support from the call back feature may be incapable and useless as well. The answers seems to be coming from a template. The absence of a demo account may also be a appointment to the users, since they will be investing a real cash even before they see what is in store for them. Social trading is composed of everything and that is from sharing the trade concepts with the others to copy the traders in an automatic manner from the others. The FxPro approach is quite limited when it comes to social interaction. But not until June of 2015, when the investors were able to give ratings to the methods that were followed.
? The leaders made a careful and critical study.
? The data that includes USD is truly clear.
? The leaders contain good quality that you can copy.
? The primary investment is kinda high as $10,000 and up.
? Some techniques may require a high amount of min. Investment.
? There is no way to interact with the leaders. The FxProSuperTrader is a social investment platform for those who are serious in trading. It is not meant for those who are just looking for something to play with, but it is meant for those who wish to invest their money amounting to more than $10,000 and up.